Hope you’re all having a great weekend! The sun is shining bright here in London and I’ve been nominated for a few more awards! 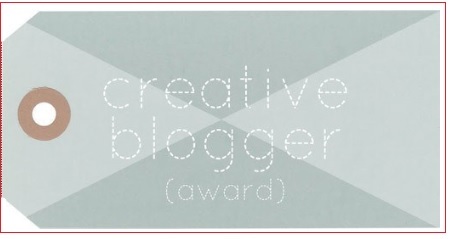 First up, a massive thank you goes to Sian at My Kind Of Beautiful for nominating me for the Creative Blogger Award. You should check out her beauty and lifestyle blog! She’s a proud Vegan who is all about cruelty free living. Notify the bloggers that you nominated them for the award. My favourite colour is navy. Clothing wise, it goes with everything and there is nothing better than teaming it up with a crisp white. It’s definitely the new black… trust me! I’ve never broken a bone in my body or had a nose bleed. Phew! I’m originally from Scotland however I live in London which is ace! Best city to live and work in as there is always something going on. 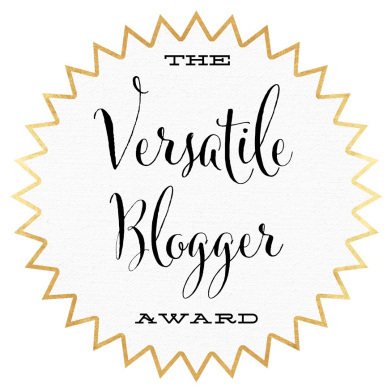 Next up, I was nominated for another Versatile Blogger Award by the lovely Natalie. She is a beauty blogger from England. I love reading her beauty product posts so you should check her out as I’m sure you would love her too. I love travelling and going on vacation, ok who doesn’t. But for me, I LOVE being in the airport so my vacation starts from then. I love seeing where everyone else is off to and just the general vibe. The first gig I ever went to was PJ and Duncan, otherwise known as Ant and Dec. I was 11 people!! I love going for afternoon tea with my girlies! Basically it’s a posh way of catching up with friends. You are in amazing surroundings and have tiny finger sandwiches, savouries, a selection of delicious cakes, macarons and desserts, whilst sipping on tea and champagne. What’s not to love!? I love watching You Tuber’s videos, mainly the fashion & beauty ones. Feel free to recommend any YT’s to me as I love finding new vlog channels. Thanks for reading this post and my blog. If you are visiting, please follow as it would mean a lot! Oooooh super excited to see that! I’m scared of spending that much on a colourful back. So far my designer bags are black and grey!